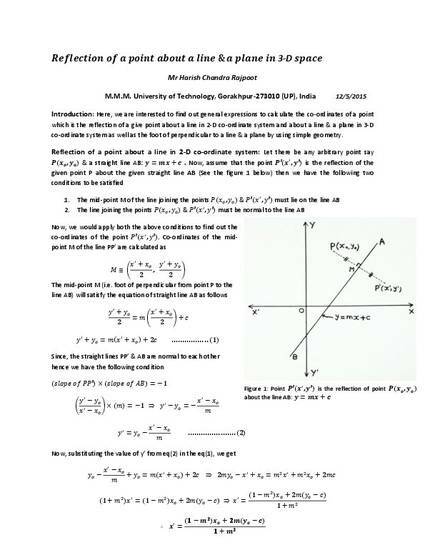 All the articles are related to the reflection of any point about a line in 2-D co-ordinate system and about a line & a plane in 3-D co-ordinate system. Point of reflection about a line or a plane can be easily determined simply by applying the procedures explained or by using formula derived here. These formulas are also useful to determine the foot of perpendicular drawn from a point to a line or a plane in 3-D space. All these derivations are based on the application of simple geometry.